There is a certain romance to river cruising, it’s almost a step back to a golden age of travel, a time when travel was done slowly and elegantly. It is this essence that Sanctuary Cruises captures wonderfully. Passing through the timeless landscapes of the Yangtze River in China and the Irrawaddy and Chindwin in Burma on a luxurious ship that basically equates to a floating boutique hotel. A Sanctuary cruise offers both five-star service and cultural authenticity; with an experience like that on offer, who are we to resist? As we’ve mentioned above, cruising on a Sanctuary Retreats ship captures the romance of drifting gently down river, passing through epic landscapes etched with the history of land they carve their way through. The journey is slow and relaxed, only enhanced by the fact that the ship’s size is intimate – you can expect to be joined by 124 passengers on the Yangtze and just 42 on the Irrawaddy and Chindwin – and the high crew to passenger ratio on both means that, if you don’t want to, you barely have to lift a finger. Sanctuary Retreats cabins and suites are not only spacious, but exude a refined yet relaxed elegance and reflect cultural traditions and crafts of their country. 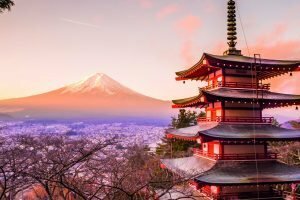 Authentic, cultural experiences are introduced onboard through lectures, classes and shows, whilst shore excursions show you the very best of each stop – you really do get the best of both worlds on a Sanctuary Retreats cruise. The smallest and most intimate ship on the Yangtze, the Yangzi Explorer carries just 124 passengers where the other ships carry over 300. It also boasts the largest cabins and suites, each with floor to ceiling windows and a private balcony so you can fully soak up the passing scenery. Facilities include a two-floor theatre and an indulgent spa, whilst there is plenty of live entertainment and lectures on the climate, culture and history of the river and cultural demonstrations such as calligraphy and dumpling making. Do not miss early morning Tai Chi out of deck, surrounded by magical scenery! Oh and the food – onboard you can savour traditional Chinese cooking at its finest as well as enjoying fresh, delicious western fare. 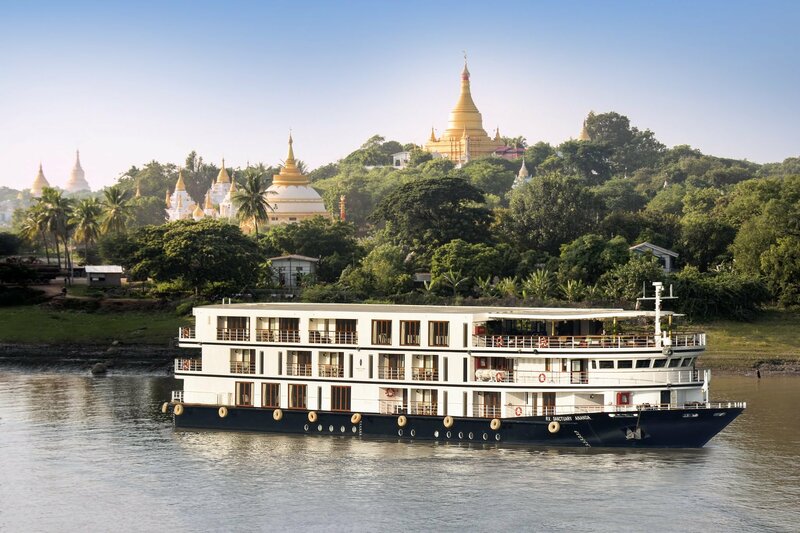 Sailing the waters of the Irrawaddy and Chindwin rivers, the Sanctuary Ananda boasts 20 suites and one deluxe Owner’s Suite, each with a private balcony. Custom built in 2014 by local craftsmen with traditional materials, the Sanctuary Ananda effortlessly combines luxury and local style in plethora of handicrafts, lacquerware, silks and modern technology. The ship itself has a sundeck with pool, a spa and a panoramic lounge, both perfect for sitting back and sipping a drink. 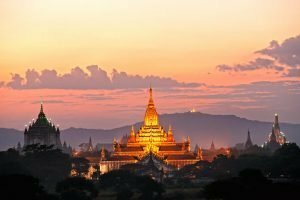 Activities include lectures, demonstrations, live entertainment plus shore excursions that take you out amongst the mystical temples, pagodas and palaces of Burma. Even the food includes all of the fragrant flavours of this indescribable country – there really is no better way to both see and experience Burma. The Yangzi Explorer cruises between Chongqing and Yichang on the Yangtze River on two itineraries – 3 nights downstream from Chongqing to Yichang and 4 nights upstream from Yichang to Chongqing. 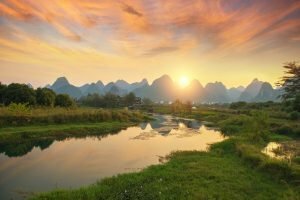 On this journey, you will see some of China’s most spectacular landscapes, including the Three Gorges, and its incredible history – from old UNESCO World Heritage sights right up to the modern day at the momentous Three Gorges Dam. 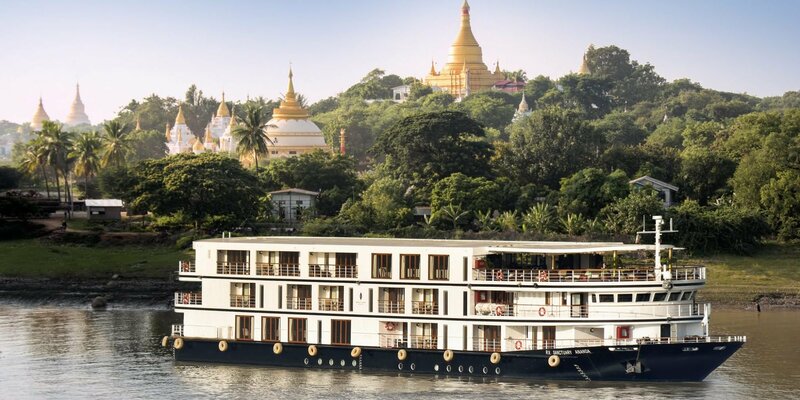 The Sanctuary Ananda sails on both the Irrawaddy and Chindwin rivers on six culture packed itineraries. The quintessential route is between Mandalay and Bagan, taking in the calm beauty of the Irrawaddy and vibrant life on its banks for 3 or 4 nights, depending on which direction you choose. This cruise can be extended all the way down to Yangon on an 11-night odyssey. For those feeling more adventurous, sailing north of Mandalay takes you onto the Upper Irrawaddy, its gorges and some spectacular nature on a spectacular 11-night voyage. But for those looking for something extra special and thoroughly authentic, the Chindwin cruise is the one for you! Less-explored and timelessly beautiful, spend 10 nights on the Chindwin where you’ll find forgotten tribal villages, untouched temples and lush forest, a way of living that is gradually losing out to modernity. Any of these cruises can be added to your perfect China or Burma itinerary, just call the Asia Inspirations team to start building your Asia adventure now!